198 pp. Several financial tables. As new, no markings. 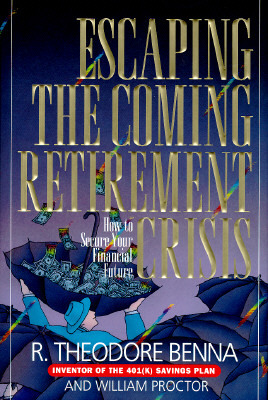 Benna, a pioneer of the 401(k) plan concept, presents various retirement saving strategies and ways of managing risk. Keywords: BUSINESS. PERSONAL FINANCE. RETIREMENT. INVESTMENT. SOCIAL SECURITY. PENSION. BABY BOOMER. NEST EGG. AGING.